equal deceleration. Table 1.3 gives the total mass ratio from LEO for a one-way and a two-way mission. Included are the mass ratios for orbital transitions in the vicinity of Earth or the target object. It is assumed that, after each major acceleration, the empty propellant tanks are discarded to minimize future propellant expenditures. 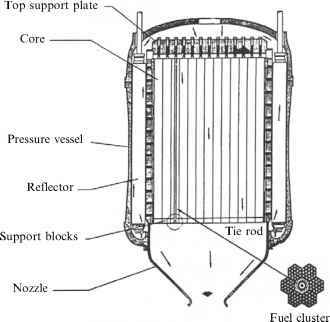 The propellant tanks weigh approximately 1.5% of the consumed propellant. The probe has a reference mass of 0.25 units and is launched from a spacecraft with a dry mass of 1.0 unit. That one mass unit does not include the expendable propellant tanks or the probe. In the two-way mission, the one mass unit spacecraft is returned to the Earth's surface. The spacecraft one unit dry mass may be in the 5 to 50 tons range for a practical deep-space spacecraft. The mass ratio (MR) shown is from LEO to the end of the mission, either back to Earth or orbiting forever the destination object, as given in Table 1.3. The mass ratio for the two-way mission includes the departing the destination object and entering an Earth orbit on arrival in the vicinity of Earth, so the multiplying factor is somewhat larger than the mass ratio per acceleration squared. The mass ratio required to lift the spacecraft from the Earth's surface to LEO must multiply the mass ratios in Table 1.3. What determines the mass ratio is, one a practical limit, and two the propulsion system specific impulse. If a 10-ton spacecraft was to be sent to space on a one-way mission, then spacecraft and propellant system mass in LEO would be 206 tons (454,230 lb) for a mass ratio four per each acceleration phase. An Energia configuration with six strap-on boosters could lift 230 tons to LEO in an all cargo configuration, and could lift the 206-ton spacecraft in one lift, as could Saturn V. But since we are now without these superb heavy-lift machines, the lift must be done in multiple launches, as shown in Table 1.4, and assembled in orbit using astronauts/cosmonauts and space walks. From the data in Table 1.4, the number of lifts for a 206-ton spacecraft to LEO could be a few as six and as great as 15, considering the heavier payload launchers. For a future Combined Cycle Propulsion System the ratio of launcher mass to spacecraft mass (the launcher payload) can be reduced to about 21. That would reduce the launcher mass, but would not reduce the number of lifts to LEO unless the payload was increased. For deep space mission and assembly of structures in orbit nothing can replace an economical, fully reusable heavy-lift launcher, such as the Russian Energia was intended to be. The challenge is greatest for a two-way mission, and includes preservation of the propellant after a long stay in the space environment. The mass ratio for a two-way mission is daunting, as it multiplies the one-way mass ratio by 18.5, from 20.6 to 382. For the same 10-ton spacecraft returned to Earth, the LEO mass that must be delivered into orbit is now 3,820 tons (8,423,100 lbs). Even with the six-booster configuration for Energia, that would require 17 lifts to orbit. Without a reusable heavy-lift booster, such as Energia was intended to be, the viability of such missions is in serious doubt, as even the best, the Russian Proton, would require 191 trips to orbit! We have said nothing yet as to the performance of the propulsion system (in terms of its 7sp), only estimated a reasonable value for the mass ratio required to move the spacecraft out of LEO and to its distant space destination. Any change in magnitude of the speed or in the change in the direction of its vector is represented as an incremental velocity (DV). For example, to change an LEO orbital plane by 13.5° requires a DV of 6,000 ft/s (1,829 m/s). A 90-degree orbital plane change corresponds to a 90-degree turn in space and requires 35,666 ft/s (10,871 m/s), that is, 1.39 times the velocity increment as achieving LEO from an Earth! An aircraft can accomplish a modest load factor, 90-degree turn with only 20% more fuel consumed than flying level. Going to geosynchronous orbit from LEO can require as much propellant as achieving Earth orbit. Thus moving about in space requires a very large amount of propellant. There are just two principal elements that determine the incremental velocity (DV), specific impulse (Isp) and mass ratio (MR). For the one-way mission there are two accelerations, the first a positive acceleration to maximum speed and a second, and equal, opposite acceleration (deceleration) from maximum speed to the spacecraft's initial speed. For the two-way mission there are four accelerations, two on the outbound leg and two on the inbound leg. Table 1.5. Current chemical and nuclear rocket propulsion characteristics.